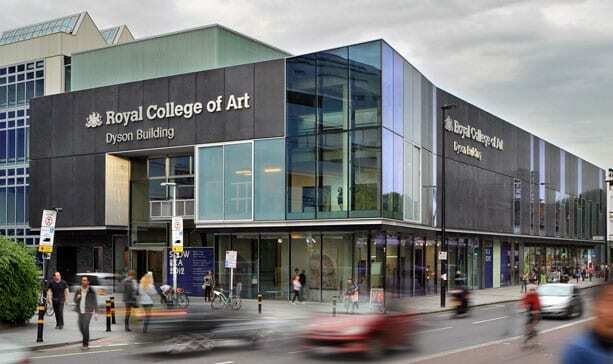 The Royal College of Art was keen to update its twenty year old facilities, which were seriously behind the times. “The RCA wanted to streamline the catering offer by making the most of new technology, redesigning the layout and refreshing the menu, to meet the needs of its customers by offering them a convenient and attractive alternative to the high street.” explains Susan Warren, director of operations, Lusso. The final design was a two-fold solution, covering all the food and drink requirements from morning ‘til night. An all day barista-style coffee bar offers a range of breakfast options, along with soup, paninis, salads and cakes plus a choice of freshly ground coffees and other beverages, while the refectory, now serving lunch and dinner, has had its traditional old-fashioned counters stripped out and replaced with a more modern, slick offer. It has also benefited from a brand new menu, and serves food into the evening once the all-day café has closed at 5pm. Key to overhauling both offers was changing the layouts. The old café set-up featured mainly push button machines, using an anti-clockwise flow with a cumbersome sit down till at the end, which was out dated and unappealing. Space changed the flows to a more logical clockwise direction; customers ordering their coffees at the beginning – as they are used to doing on the high street – then working their way along an attractive bespoke deli-style counter of freshly made baguettes, paninis, hot soup, and cakes, collecting their freshly brewed coffees at the end, and finally paying at a touch screen, cashless till point. The bespoke counter in the refectory leads customers through a choice of soups, popular miso pots, hearty hot mains, a ‘weigh & pay’ salad offer plus a daily hot dessert as well as a choice of jacket potatoes, snacks and beverages.